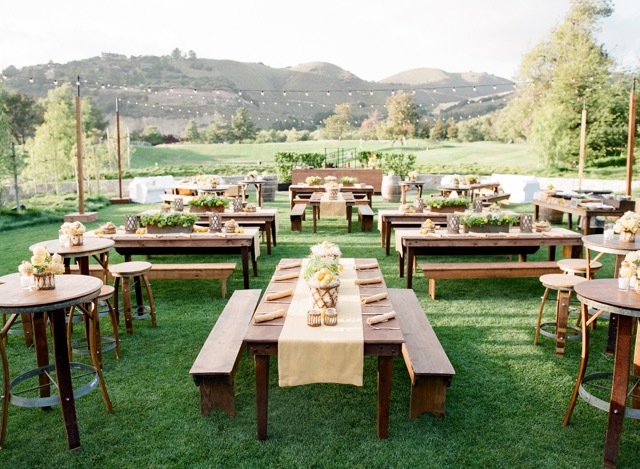 Our clients’ objective for their wedding weekend was simple – gather everyone together in one location for a really great time. 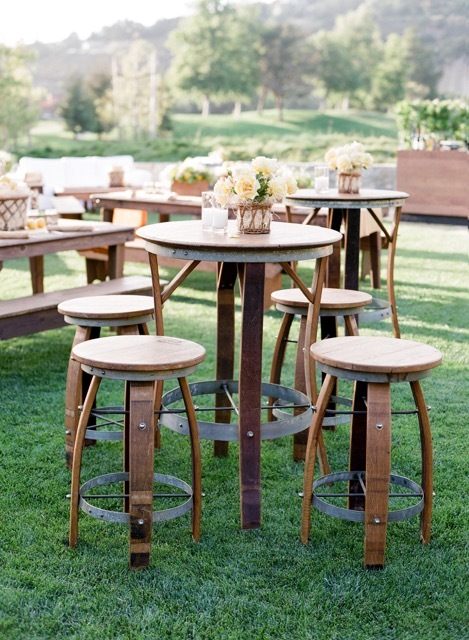 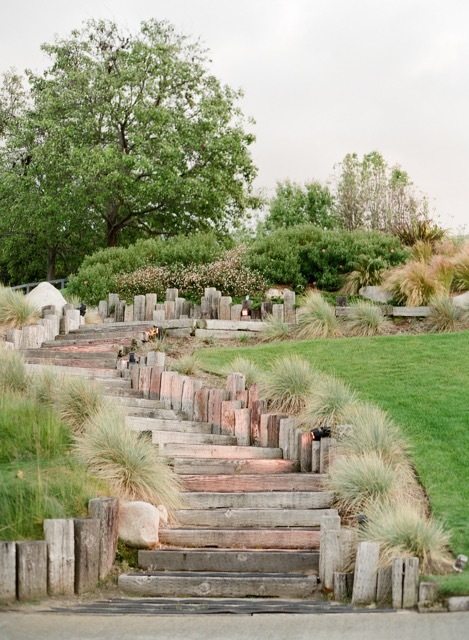 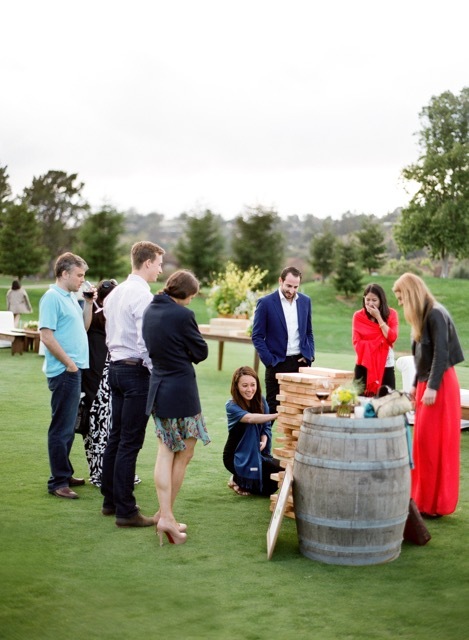 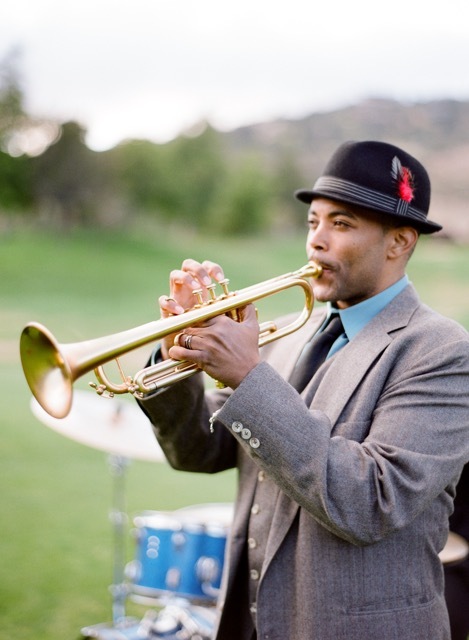 To kick off the celebration, we planned a welcome party at Carmel Valley Ranch’s Golf Club that was all about fun & games. 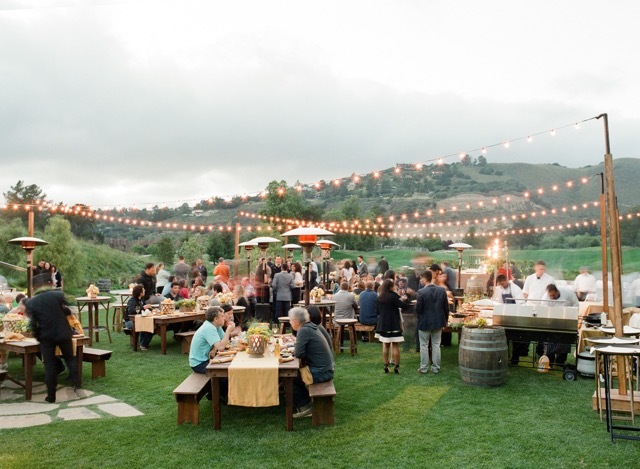 A casual BBQ dinner was served under string lights, to the upbeat jazz of the Speakeasys. 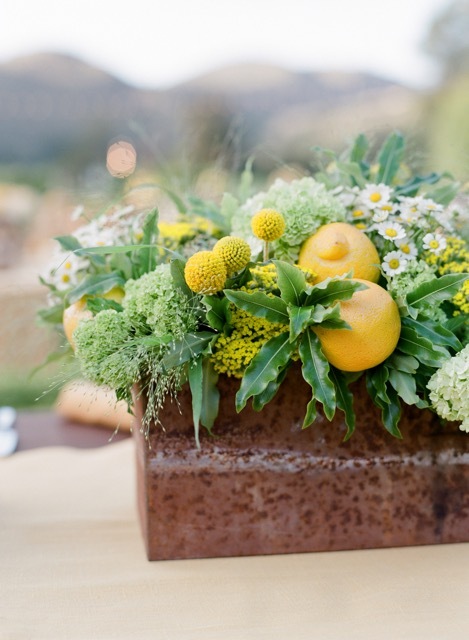 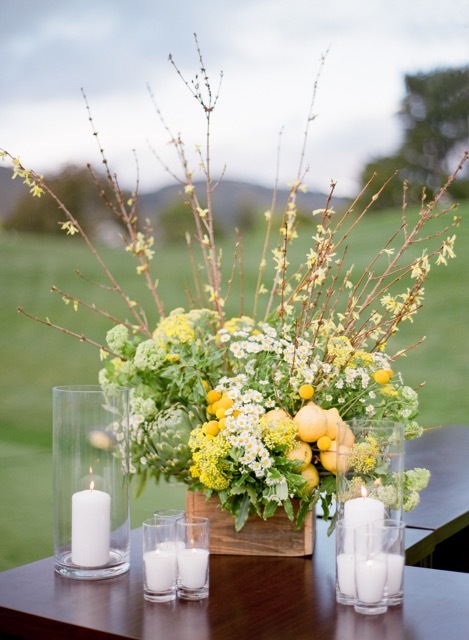 The party got a dose of brightness by Mindy Rice Design’s lemony florals and LaTavola’s bold yellow linens. 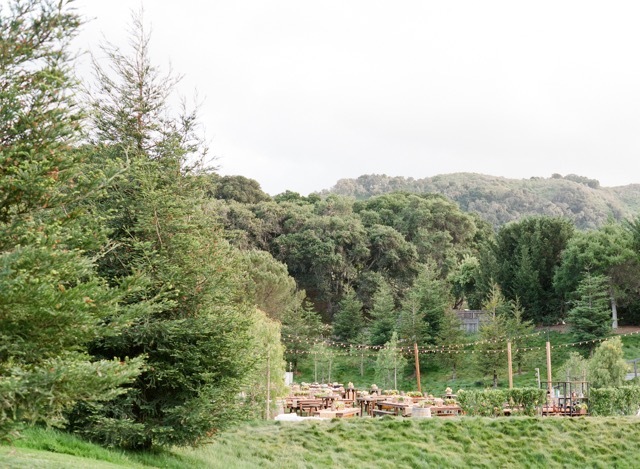 On the resort’s driving range, various lawn games were in full swing including croquet, jumbo jenga, corn hole, horseshoes & bocce. 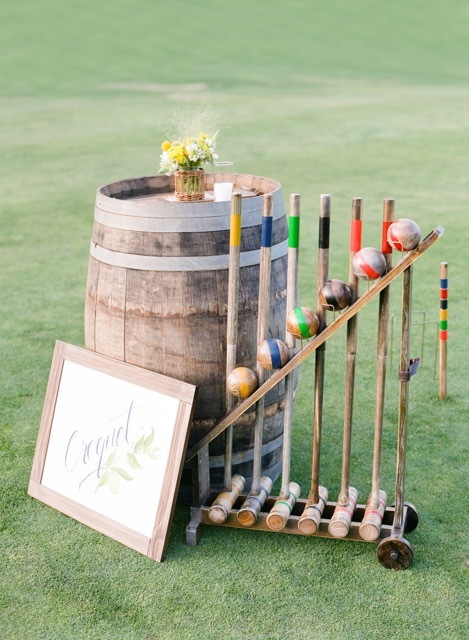 Each game was marked by charming custom signs painted by BB Paper & Ink. 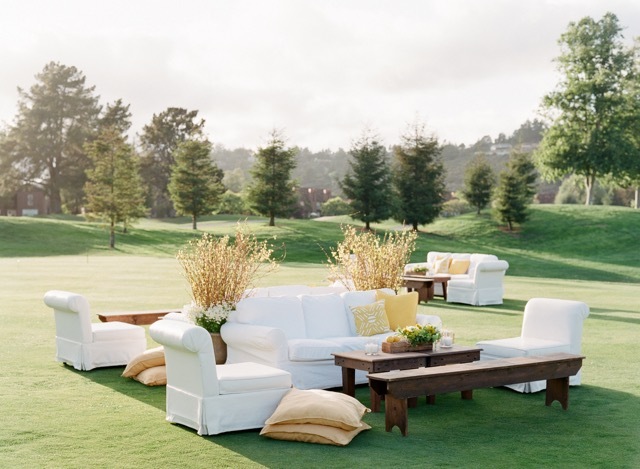 As the sun set, the couple unveiled one more surprise game – glow in the dark golf of course.